Old sayings have been very much relevant with our lives and so do they mean, so yes if you perceive everything to be fine and perfect, then you must be ignoring something. It’s not that you’re being cynical; it’s just that these sayings have a lot of weight in them and one must not ignore them. Even our perfect lives aren’t perfect, they’re full of loopholes and we tend to ignore even the major events let alone paying attention to small things. It’s a fact that in our fast paced life we can’t pay attention to every little thing. If you think that your child’s SMS, calls and web browsing history and rest everything is fine, you should at least check out their WhatsApp. WhatsApp as everyone knows is like a free pass to have unlimited chats and conversation, so monitor your child’s WhatsApp to see if they’re using it properly or not. Is WhatsApp Spying Really Important? WhatsApp Spying is really important for effective parenting. With the changing trends and technology evolving so fast, you’ve got to believe the popularity of WhatsApp. Not only teenagers but almost everyone prefers using WhatsApp as their first choice of communication, reason being WhatsApp is absolutely free and works well on different platforms. If you have WhatsApp Spy Software, then you can easily find out what your children talk about without them knowing so. Which is the Best WhatsApp Spy Software? One has to be conscious to get the right best software when it comes to cell phone monitoring software. Look for one that has WhatsApp spying option, also check out for the reviews because although all apps may claim to have this feature but not all work effectively. The software which we recommend is Imobispy, which is an excellent app that gives an arsenal of monitoring features such as call listening, GPS tracking etc. So when you can get a flawless software that monitors every single activity of cell phone, including WhatsApp conversations and other stuff that gets passed on, then you needn’t look for anything else. WhatsApp Contacts List and their details. Read Individual and group chats. View date and time information. View the multimedia, such as images, video and audio. When you have so much convenience at your end, why keep looking for lame ways to monitor your child? Get over with the research and start monitoring your child with brand new features Imobispy offers. You will easily get to read the chats your kids do; you can see with whom they contact and what kind of media they share secretly on WhatsApp. 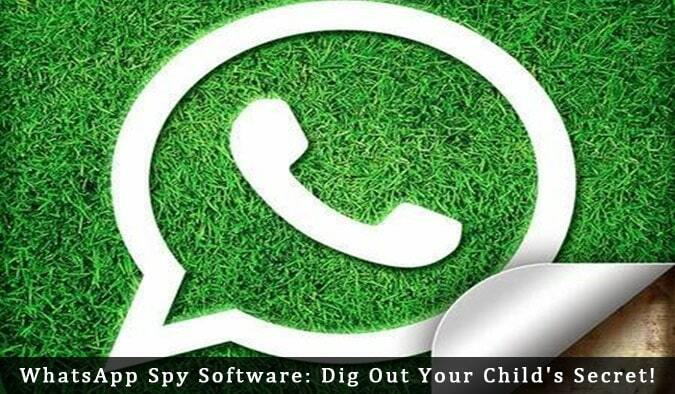 Ensure that your child grows up in an environment safe and good enough by monitoring them with WhatsApp Spy Software. Many alternatives arrived, still WhatsApp is sitting on millions of users phone like a boss, because of its compatibility with various mobile operating systems. you have one good suggestion here to monitor whatsapp usage. Thanks and cheers. The post is really informative, and I wasn’t aware that we can also spy whatsapp users. In simple we can easily track our children. Yeah I agree with your mentioned statement “whatsapp spying is really important” to make sure what teenager are discussing. Incredible and easy to use. But is a little bit risk.. I have to control my child but this method is right? Yeah, you can use this software. Nothing wrong in that. Everyone wants to guide their kids being a good parents. For knowing the direction of child we should use spy software for their activity tracking. But for sure our kids won’t like to be spied by us. It is one of the major issue in it and it should be handled as per personal view of parents. Awesome app… I didn’t know such apps are also there in market. The problem is it is paid app. If this will be free then many people will definitely use this app. BTW nice post. It’s custom Genesis child theme designed by Bharath. Can you please send me the link to download the software? I want to monitor my son’s WhatsApp chats and conversation for his better future. Monitoring your kids online activity is very important that’s the very reason why I use browser addons to make my kids browsing safe and secure, haven’t tried one of these yet since they don’t have these kind of app on their phones.. taking notes and hopefully use it later. Hello Rajesh. I totally agree with your points. Whatsapp is the fastest growing software and really grasped from kids to old age. There are many software available to track the Whatsapp chat log but Zealspy (which I have used personally even) is absolutely free and with latest features. Enjoy…. What if the app sends data to its own servers? They may also spy on your child’s messages. I won’t use anything like this ever. Absolutely rediculous. Spying on your childs whatsapp?! Ask them to see it if you want to look at it that bad! Total invasion of privacy. Thanks for sharing this amazing article but sir I am facing some issue with the installation of WhatsApp on my Android 2.3 gingerbread. Several times I successfully gone through the installation process but then it crash. Can you help me to fix this. We are all being spied. Wheither You like it or not…. I want to read my kid WhatsApp chats. Will SpyMaster Pro help me with the same? I am using mSpy for about 6 months now and I really loved the way it helps to monitor everything on the target phone. What really matter is, it is one of the best iPhone Spy app for parents that can help them to monitor their children without Jailbreak. No Jailbreak = No headache. Please advice the procedure of downloading Zeal Spy software, it’s required to download on both mobile. 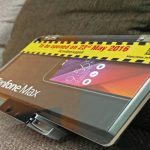 How can I get hold of this app, and what does it cost. Man I think this is a way for non trusting parenting. If parents trust their child better ask him. Though it’s a good app for non trusting-hostile conditions.. But I prefer not to use this app for this purpose.. Better give piracy to children and teach them to choose rather than monitoring children like some spying agency. I don’t know about others but I am surely going to try the software to spy WhatsApp of my girlfriend. Thank you so much for this useful software.